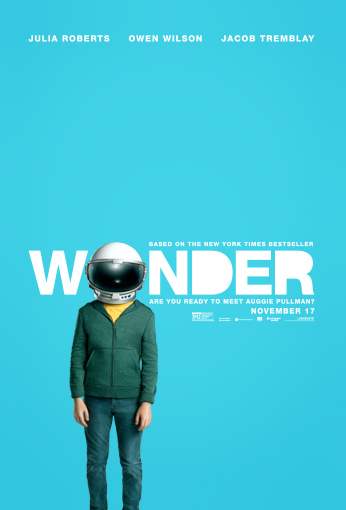 Based on the New York Times bestseller, WONDER tells the incredibly inspiring and heartwarming story of August Pullman. Born with facial differences that, up until now, have prevented him from going to a mainstream school, Auggie becomes the most unlikely of heroes when he enters the local fifth grade. As his family, his new classmates, and the larger community all struggle to discover their compassion and acceptance, Auggie's extraordinary journey will unite them all and prove you can't blend in when you were born to stand out. In theaters on November 17, 2017.